Welcome to Up-Rite Enterprises, Inc.
We are a state of Florida licensed General Contractor specializing in residential, commercial, agricultural and equine buildings. Up-Rite Enterprises Inc. is a family owned and operated company with over 50 years experience in the construction industry. 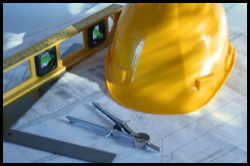 Our diverse range of building design and construction services allows us to cover our client's every requirement. The professionals at Up-Rite Enterprises will not only design and construct your building, they will educate you on how to best maintain it. Click on our company divisions on the left for more specific information on the type of building you'd like to construct. Please contact our professional builders at: 352-472-1223 to schedule a consultation for your new home, commercial building or equine facility. Gainesville, Ocala, Brevard, Tampa, Fort Lauderdale, Orlando, Naples, Lakeland, Miami, Fort Myers, Sarasota, Jacksonville and Mims.